The Newest Rant: Flashback Friday--2 "Women of Marvel" Comics. Back in the long ago time of 2010 (Yes, this Flashback Friday is pretty recent) Marvel had a, "Year of Women" thing going on where various female characters were spotlighted and the mini-series, "Girl Comics" came out. Sometime I'll review that but I thought today I would look at two one-shots that interested me because they involved characters from other series I enjoyed reading, and were written by scribes I enjoy. 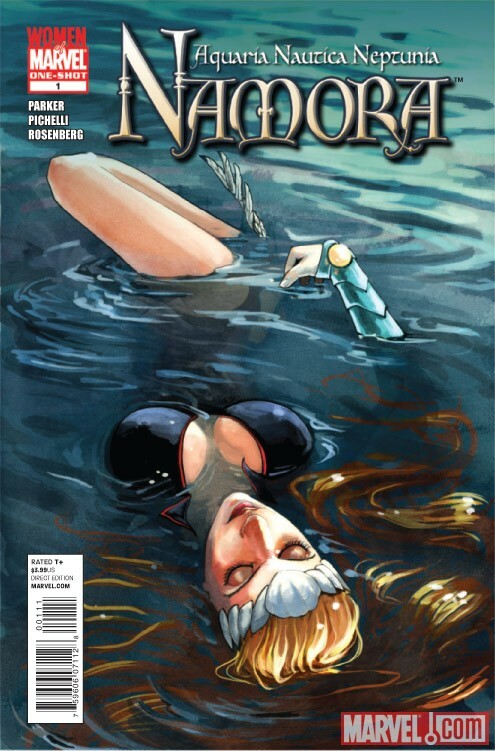 Namora #1 was written by the main man to behind Agents of Atlas during its mini-series and batch of re-launches, Jeff Parker. 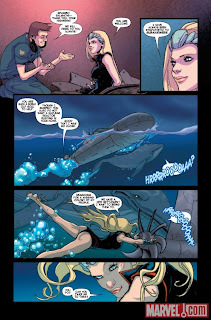 Its a respectable story, seeming to tell of an exploit during Namora's downtime from the Agents of Atlas helping Namor find other Atlanteans to invite to their new homeland. I say, "seeming" because there are a few twists to keep things interesting. It is a fun story, but nothing too impressive, although the little plot wrinkle makes it more than mediocre. 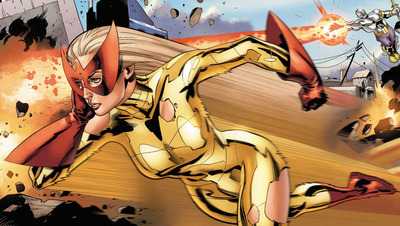 Spitfire #1 was essentially the last Marvel work Paul Cornell did before going DC exclusive, with it featuring Spitfire of the great comic Pete Wisdom MI:13 which was a continuation of the amazing Marvel Max comic "Wisdom". This comic sadly isn't a good as that work or his current amazing run on Action Comics. This is still a somewhat intriguing story, showing what puts Spitfire apart from other vampiric individuals and the complexities of her relationship with vampire-hunter Blade. It's a fun read even if it too has nothing particularly special about it. I liked both issues of these comics, but didn't love them despite normally adoring the work of Parker and Cornell. They still are fun reads if you have an affinity for Namora or Spitfire--or read the creator's main series these loosely tie in to--but these issues are definitely not critical to acquire. 3 out of 5 stars (for both).